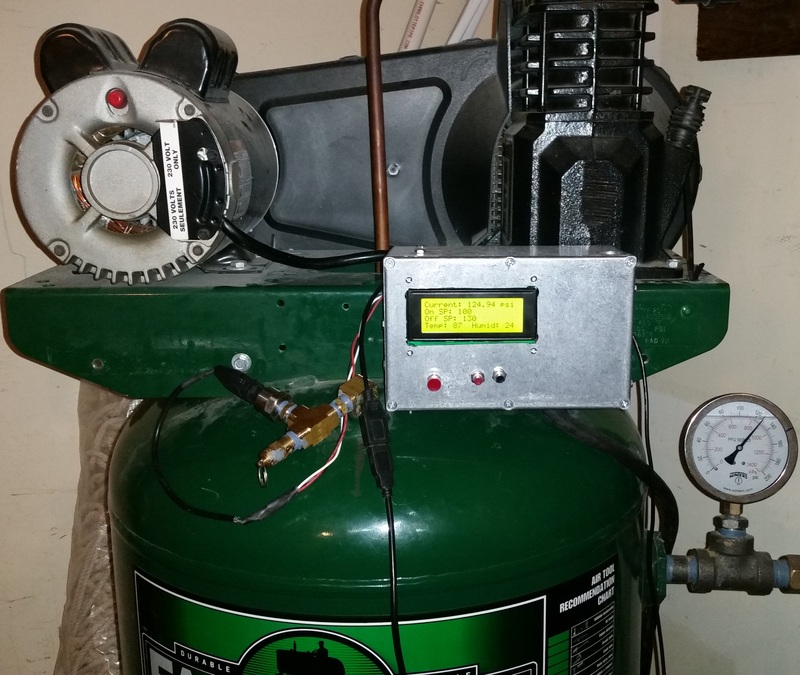 My Arduino Air Compressor Controller Project – Finally Functional! Good news: The controller is finally functional!!! As of now, the controller is reading the tank pressure, and the temperature and humidity inside the box, and displaying on the LCD. 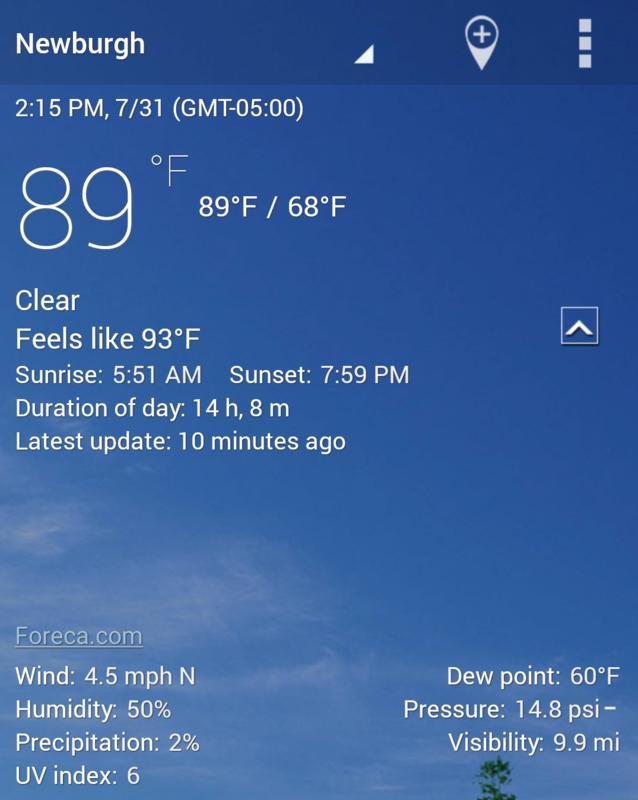 The temperature is reading close to the local current weather, but the humidity is reading low – 24% compared to the online weather info of 50%. The device is is located in my garage, so I expect it to be somewhat different than the actual weather, but I currently do not have anything else to compare the humidity reading to. I picked up a good, manual pressure gage for verifying the electronic pressure transducer. The pressure is consistently reading about 3 psi low throughout its entire range, which may be caused by increasing the length of wire from the sensor (causing a very small voltage drop). Since the pressure difference is the same, instead of changing the conversion constant in the calculation from my previous post, I am just going to add 3 psi to its reading. 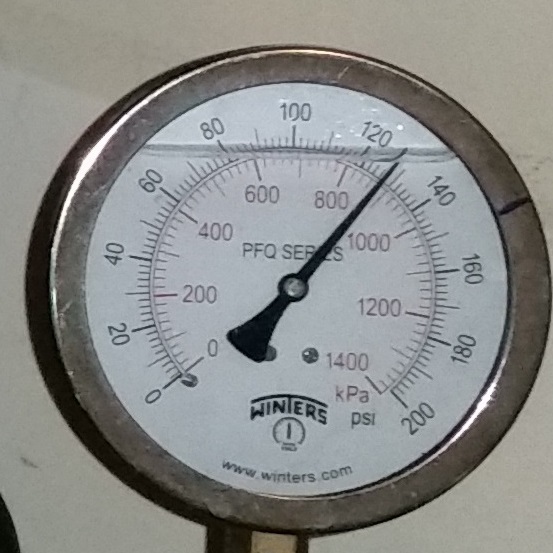 Currently, I just have the compressor set to start at 100 psi and stop at 130 psi, without being able to change it. I have also included a shutdown function that ensures the compressor is shut off if there is an error detected from the pressure transducer (a low or high reading out of range). I have posted all of the current code at the bottom of this page. Thanks for joining me in this series again! Please leave comments and check back again soon for some more code updates and download links for all the files (coming soon)! This entry was posted in Uncategorized and tagged Arduino, Microcontroller on July 31, 2015 by 1johnkitchen. So what is technology? Most people would be able to come up with some easy answers, primarily revolving around electronic gadgets. The Merriam-Webster dictionary defines technology as the use of science in industry, engineering, etc., to invent useful things or to solve problems. So why does that matter? It is a misconception that technology is a modern-day phenomenon and only applies to electronics – technology applies to the tools and designs of the pyramids thousands of years ago, and to the specifically designed hand tools of the Amish. Technology is not just about electronics, it is about applying scientific principles to our lives and businesses to improve them. A little about me. Ever since I was a child I was interested in technology – I’ve always enjoyed seeing how things worked and trying to improve them. I placed no boundaries on my endeavors, working to understand and improve almost any system I could; computer, electrical, mechanical, operational, people, and processes. I served 6 years in the U.S. Navy as a Nuclear Electrician’s Mate. I currently have over 10 years of industrial operations experience, primarily in power generation (both Coal and Nuclear power plants). I hold a Bachelor’s in Nuclear Energy Engineering Technology from Thomas Edison State College, and expect to have my Executive Master’s in Business Administration from the University of Nevada, Reno completed in the middle of August 2015. Through this blog, I plan on sharing my thoughts, ideas, and successes about understanding and application of different types of technology. I hope my blog posts will help you throughout your life and endeavors, or at least intrigue you to think deeper to improve aspects of your own life. Please provide feedback and reply with any relevant information you would like to share with others. This entry was posted in Uncategorized on June 7, 2015 by 1johnkitchen.